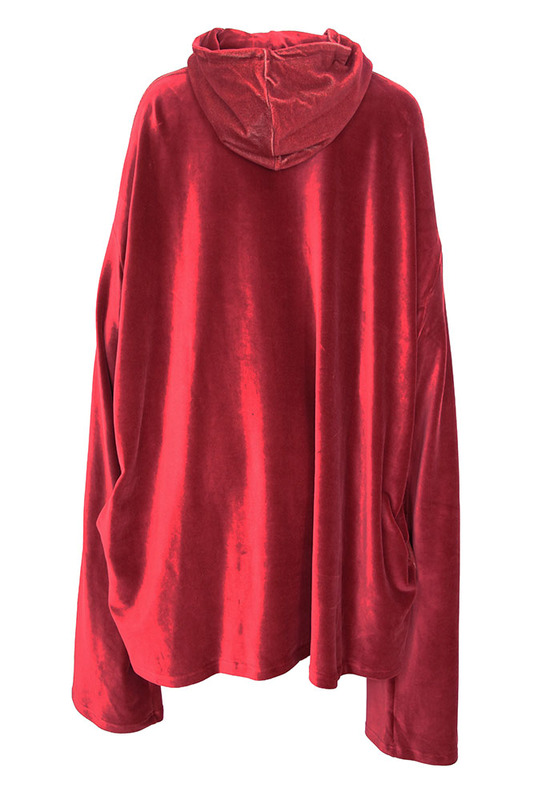 Barbara Bologna large over-sized, one-size, hoodie in rusty red, 'Print Hoodie'. Double layered hood. 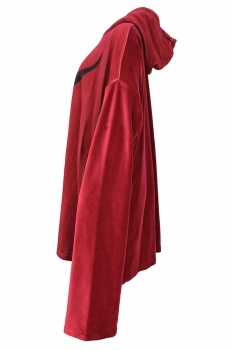 The garment is made from two types of velvet, The hood and front panel in one and the sleeves and rear in a fine velvet. The front panel is slightly lighter in colour. On the front there is an image of girls head with horns. Extra long sleeves. 2 pockets. A brilliant garment in s beautiful, soft and textured fabric, very cool.